Rouge de Bourg: Swiss Fun Friday Find - WTF? 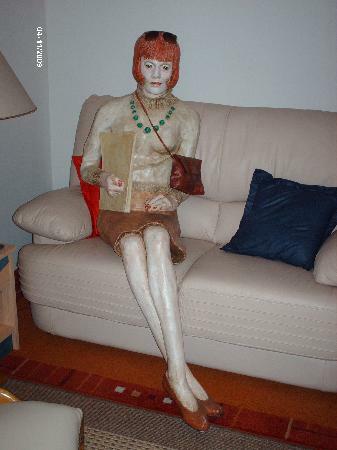 It is some sort of paper mache statue to sit on your sofa. I would love to see a design challenge with this decorative piece involved (this is me joking). Is the red purse made out of paper mache too? 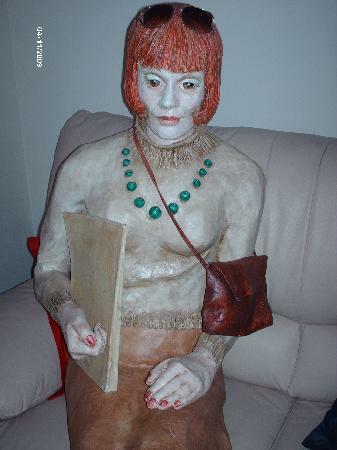 Would you purchase this as a decorative item in your salon to sit on your sofa? I am just at a serious loss for words.